All Natural Cold and Flu season balm! Feel good about what you put on yourself and your children during the cold and flu season. Our All Natural Vapor Rub provides relief for Chest Congestion, Stuffy Noses & Sinuses. 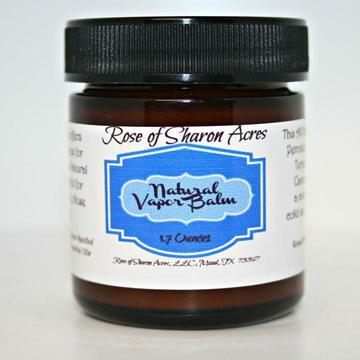 Why our Vapor Rub Balm? Not recommended for application on infants under 6 months. Extra Virgin Olive Oil, Menthol Crystals, Essential Oils, Vitamin E.